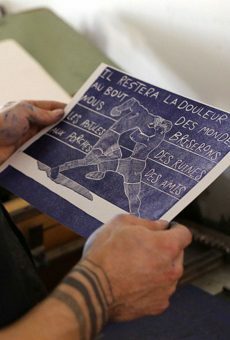 The organizations and artist-run centres L’Atelier Circulaire, ARCMTL and Zocalo are proud to present the 2nd edition of the Montreal Printed Arts Festival. 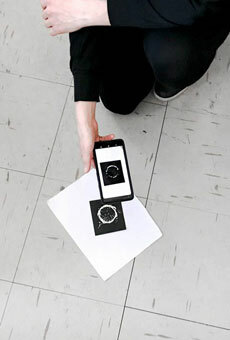 April 4-14 in various locations with the WIP as its headquarters on St-Laurent. 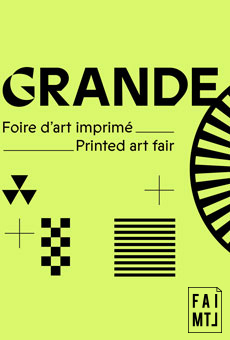 The GRANDE Print Art Fair brings together more than 50 artists and organizations selling posters and printed art in the context of the Montreal Printed Arts Festival. 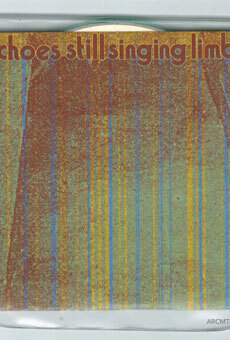 You can see a photo gallery of images taken during these workshops here.